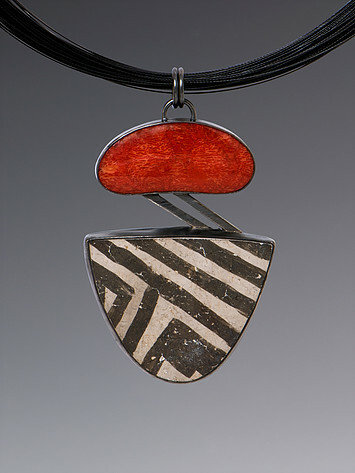 Our featured artist of the week is jewelry designer Debora Note! We are so excited to now carry Note’s fine jewelry. 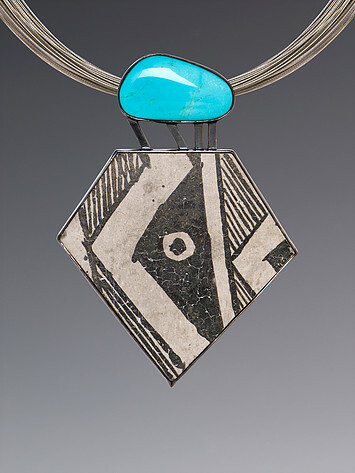 Recently featured on Good Morning Texas, Note handcrafts each piece using ancient Anasazi Indian pottery shards, turquoise, coral, lapis lazuli, and various other semi-precious gem stones. All of her pieces are set in sterling silver. Note’s pieces are extremely unique because each pottery shard is approximately 700-1,000 years old and is obtained legally from private land. Note first found interest in jewelry making after a visit to a jeweler’s studio in Florence, Italy. At the time, she had a full time career in federal law enforcement. Her interest in jewelry design continued to grow while taking many classes and workshops at the Craft Guild in Dallas over the course of 11 years. Note is now retired from law enforcement and works from her home studio. She sells her pieces at various shows in the Dallas area. Visit us at The Artists' Showplace Gallery to shop our one-of-a-kind jewelry and browse our original artwork! ALSO: Come join us at our next exhibition "Love Connections."